Charlotte Cowles (1821-1866) lived in Farmington, Connecticut during an extremely polarizing time. During the 1830s, Farmington was grappling with the divisive issue of abolitionism; many people in town were either indifferent to or opposed to changes to the current gradual emancipation legislation. There was a significant minority of influential and wealthy citizens who favored abolitionism. Many abolitionists in Farmington were members of the same social and familial networks. 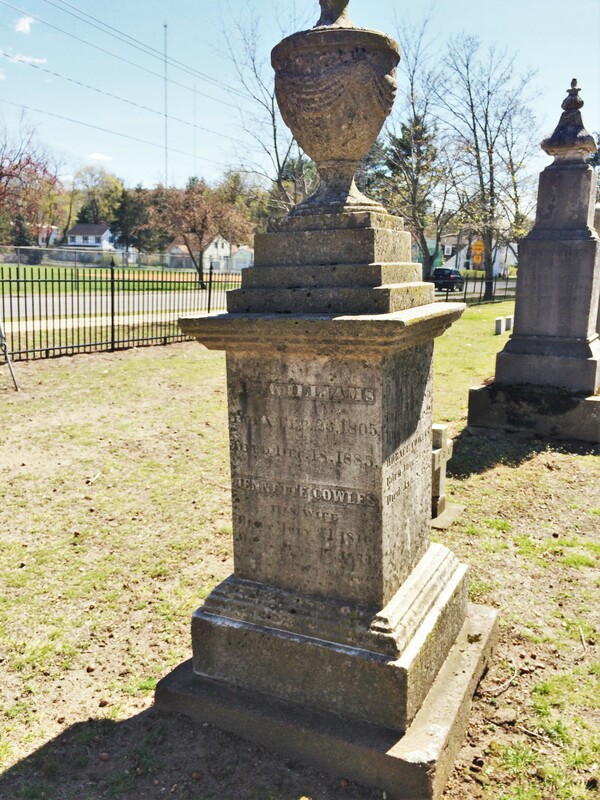 Numerous members of Charlotte’s extended family were abolitionists, such as her cousin-in-law, Austin F. Williams, her uncle Timothy Cowles, her cousin Chauncey Cowles and her brother, Samuel S. Cowles, who opened an abolitionist newspaper in Hartford. 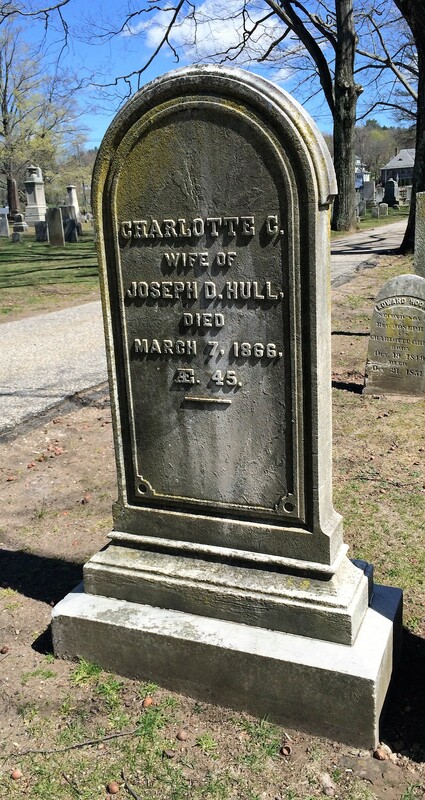 Charlotte was a staunch abolitionist and the modern day researcher can delve into her thoughts thanks to the numerous letters she wrote to her brother, Samuel S. Cowles, currently housed at the Connecticut Historical Society. Charlotte’s letters reveal a strong willed woman who discussed everyday life in Farmington, abolitionist activities and her true feelings on slavery. Samuel and Charlotte’s parents were Horace and Mary Anne Cowles; of 10 children, only Samuel, Charlotte and another sister, Mary Ann, survived to adulthood. Their father, Horace Cowles, was a merchant active in the temperance and abolitionist movements. Charlotte and Samuel Cowles’ 94 letter correspondence, 91 letters from Charlotte and 3 letters from Samuel, spans from 1833 to 1841, and a single letter was penned in 1846. Charlotte’s letters are historically significant, because it is very rare to have a women’s first person perspective on a significant issue such as abolition. In addition, Charlotte wrote these letters between the ages of 13 and 25, which shows her intelligence and maturity about controversial issues at such a young age. Many of Charlotte’s letters detail the activities of various members of the Cowles family and she provides amusing updates about her life, such as her dinner plans and she described an episode where she went “sleighing.” Furthermore, Charlotte discussed births, marriages and deaths of family members and bemoaned the unpleasant winter weather. She constantly asked her brother when he would visit and if he could pick up certain items for her in Hartford. Charlotte’s charming prose and detailed descriptions offer a remarkable glance into everyday life in Farmington in the 1830s. Charlotte’s letters give unique insight into the lives of the Amistad Africans, while they stayed in Farmington for roughly nine months before they returned to Africa. She described the Mendi as “beautiful” and “elegant” and even admitted that she was embarrassed by her lavish praise of one of the Mendi named Banyeh. Charlotte befriended many of the Mendi and listened to stories of their “adventure” from Africa to Farmington. The Mendi helped Charlotte understand the true horrors of slavery; she stated, “we read and we talk about these things [slavery], but as long as we do not see the victims, we know nothing of them.” The Cowles’ family housed one of the Mendi girls, Ka-me or Kagne, and she seemed “very contented, so far as we can judge from her happy looks and cheerful words.” Charlotte goes into detail about the Mendi’s appearance, impressive work ethic and their adaptation of white culture; “they looked very neat and orderly, and behaved as if they had been to church all their lives. Charlotte Cowles referenced many nationally known abolitionists such as Alvan Stewart, John Anthony Copeland, Jr. and a “Mr. Burt” who lectured about abolitionism in Farmington. Charlotte’s depth of knowledge about scholarly literature and abolitionist newspapers was quite impressive as was her command of different political ideologies and politicians. For example, Charlotte discussed a speech given by past Governor of Liberia, Rev. John Pinney, who advocated for colonization, or the transportation of African Americans back to Africa, which was a concept Charlotte thoroughly refuted. In addition, she highlighted the fierce anti-abolition sentiment in town who held their own anti-abolition meetings in protest; “it was a high day for the rioters…who came in throngs.” In her letters, Charlotte described activities of Farmington’s abolitionists such as attending anti-slavery lectures, writing the constitution for the Anti-Slavery Society and hiding fugitive slaves on the Underground Railroad. Charlotte told her brother about a fugitive slave hiding in their family home; “I think the man who is with us now, (we call him Thomas) is the noblest specimen of the ‘Southerners’ I have ever seen. We are all very much attached to him indeed.” Charlotte revealed her intimate feelings of slavery in her letters; “I hardly know when slavery seems most accursed; when we see a man reduced by it almost to a brute, — or when we think that there among its victims such men as Thomas, who are still noble, dignified and unsubdued, notwithstanding all they have suffered.” Charlotte’s views on slavery reflects the opinions of a national group of individuals who endeavored to end slavery in the United States. Charlotte Cowles’ letters are a fascinating insight into an abolitionist’s mind and daily life in Farmington during the 1830s. Her letters are an incredible repository of information about Farmington’s abolitionist activity and her first hand observations of the Mendi are instrumental for understanding the ramifications the Amistad had on the abolitionist movement. Thanks to the Connecticut Historical Society, Charlotte’s delightful prose and historic points of view will be preserved for future generations of scholars. “List of Sites.” Connecticut Freedom Trail. 2016. http://ctfreedomtrail.org/trail/amistad. Bickford, Christopher. Farmington in Connecticut. Canaan, NH: Phoenix Publishing,1982. Cowles, Charlotte. Charlotte Cowles to Samuel S. Cowles. Cowles and Samuel Cowles correspondence, 1833-1841, 1846. Connecticut Historical Society, Hartford, Connecticut. Cowles, Charlotte. Charlotte Cowles and Samuel Cowles correspondence, 1833-1841, 1846. Connecticut Historical Society, Hartford, Connecticut.